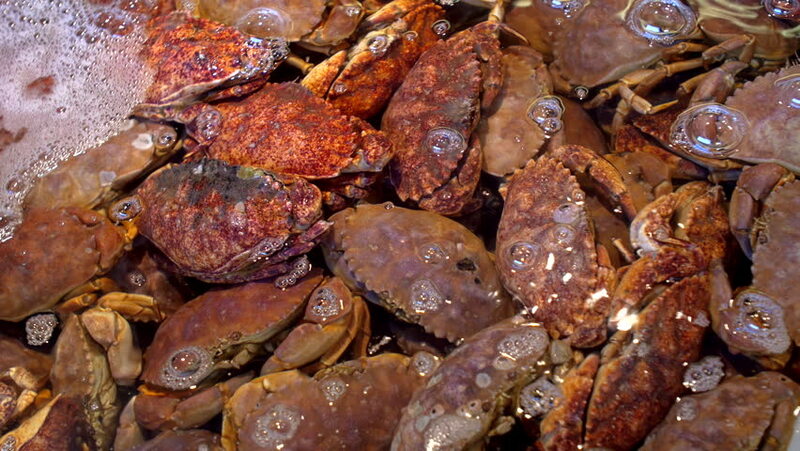 Dungeness crabs underwater stacked on top of each other in a seafood restaurant holding tank are hand selected by patrons for cooking meals. hd00:13Dungeness crabs underwater stacked on top of each other in a seafood restaurant holding tank are hand selected by patrons for cooking meals. hd00:21Dungeness crabs underwater stacked on top of each other in a seafood restaurant holding tank are hand selected by patrons for cooking meals. hd00:14Seeds of dried peppers close up. Hot spicy chilli, macro view. Rotation pile of dry paprika. hd00:11Extreme close up of grilling Polish sausage on the fire pit's grill 5.
hd00:26Disclosure of pine cones ALPHA matte, (Pinus L.), Full HD.